...is to read, "Do Scientists Understand the Public?" by Chris Mooney. It's a quick read, incredibly thought-provoking and we'll be discussing it on Friday. See you back here then! Could this be a clue as to why there are so many bad science movies? Where did eye patches originate? You'd probably guess it was an early and low-tech way to conceal an unsightly eye injury. While this may be partially true it is more likely that patches were first used by individuals with two perfectly good eyes. There is speculation that sailors, in order to keep one eye adjusted to seeing in the darkness below deck, used an eye patch. Whether scurrying below deck to modify rigging or reloading weapons, keeping one eye adapted to seeing in low levels of light could save a valuable few minutes in a crucial situation. 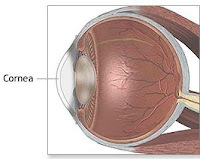 Corneal Abrasion: A corneal abrasion is essentially a scratch on the transparent covering of the eye. Abrasions can occur from walking into foreign objects such as hanging tree branches, or by rubbing the eye when something like dust or sand is present. Abrasions are usually minor but the risk of infection from bacteria can be a serious threat. Antibiotic eye drops and a topical pain reliever is the most common treatment. Chemical exposure: Being splashed by anything but clean water is a risk to the eyes. Many acids, such as vinegar, lemon juice, and some shampoos, may cause significant redness and burning, but can be washed out with no real damage. Chemicals that are basic (a pH over 7) such as bleach, ammonia, or lye, are a more serious threat but may not seem so as many do not cause immediate eye pain or redness. As soon as possible after exposure the eye should be flushed with warm tap water for 15 minutes. Long term treatment depends on the type of chemical exposure and if tissue damage occurred. Swelling: What do moving baseballs, flying fists, bathroom sinks, and stepping on a rake have in common? They all can result in some mean black eyes. Being struck in the eye with just about anything causes swelling followed by discoloration. The swelling is the result of simple tissue inflammation, whereas the discoloration is due to swollen or ruptured blood vessels. The best treatment is to put an ice pack over the affected area to reduce swelling. 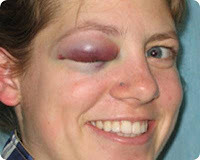 Despite being an old wives tale, placing a steak or a pork chop on a black eye is not an effective treatment. 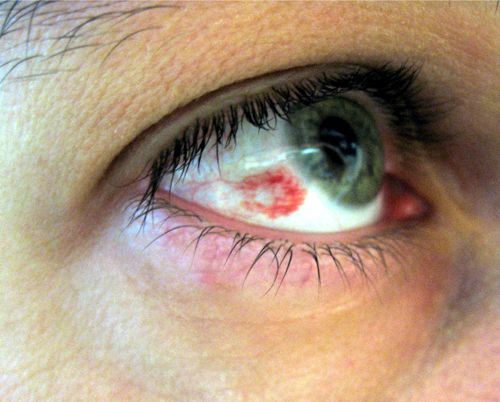 Eye bruising/bleeding: Being struck in the vicinity of the eye often causes the small, delicate blood vessels under the whites of the eyes to break and discolor the eye. This is called a subconjunctival hemorrhage and looks much worse than it actually is. It is quite common and despite its dramatic appearance, actually poses little risk of any long term visual or cosmetic damage. Other than looking scary for 7 to 10 days and waiting for the blood vessels to heal themselves there is not much of a treatment for this condition. Over time the blood clears on its own and the eye returns to normal appearance. For more information about eye injuries the National Institutes of Health has a good online resource. This 4th of July be sure to keep the bottle rockets aimed away from your face. According to the Center for Disease Control (CDC) over 20% of people infected with HIV in the US today do not know they have the virus. This means they are at a higher risk for transmitting the virus to others, because they do not know they have it. Not all HIV tests require a blood draw from your arm. Some can be much quicker and pain free. 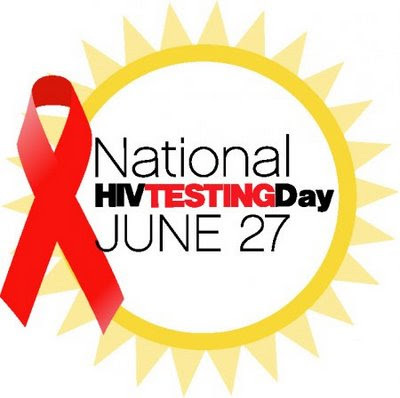 Bottom line: Get tested. Today. 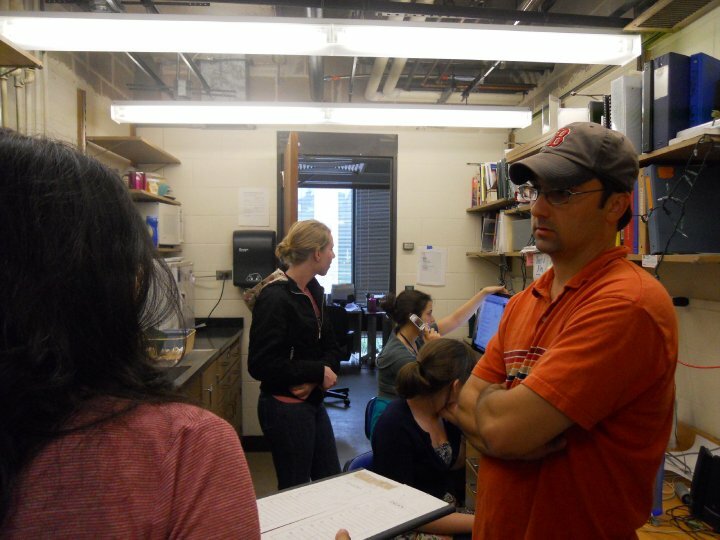 This week's Images from Around the Lab were contributed by the Barresi Lab at Smith College. Come back next Thursday for a closer look at their work. Today we have an inside look at clinical research. Susan Maya, a clinical research coordinator in the Department of Neurology at Massachusetts General Hospital was kind enough to tell us about her current position. NV: Question 1. What do you do? Susan: A little bit of everything. In a nut shell, each of the three to six research coordinators in our group is responsible for clinical trials. Some studies are externally sponsored and others are internal. I’m responsible for the day to day function of the “smaller” multi-site studies. I spend 50% of my time doing the administrative stuff: IRB paperwork, data entry, calling patients to schedule appointments and such. The other half is actually running studies. For each of the drug studies we run, patients have to come in multiple times for the study. We do different types of testing to make sure the study drug isn’t harming them and to see if the study drug is effective. I’m the first point of contact for the patients if they experience side-effects or need information. Coordinators do everything from taking vitals and EKGs to drawing blood. Then the neurologist – our PI – will come and do her assessments. The last thing I do – which is not directly related to the studies – is a bi-monthly disorders clinic where our PI sees people outside the regular research studies on Huntington’s. It’s interesting because it is a multi-faceted team that really focuses on disease management, which is important since there isn’t a treatment for Huntington’s at this time. I also sometimes have the opportunity to help those who are interested in getting involved in the studies. NV: Question 2. How does your background in science – and research particularly – help you? Susan: What I do day-to-day is not directly related to what I would be doing in a bench research setting. I do spend a good amount of time processing blood samples; which is good because I’m invested in the patients – since I work directly with them. 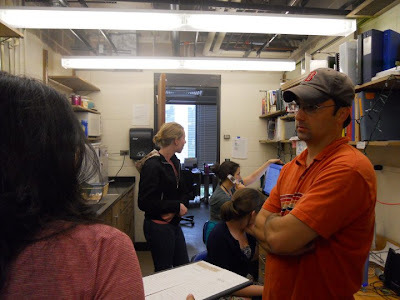 But I can learn about the research that’s going on, and participating in the process helps me to understand it better. NV: Question 3. What is the most exciting component of what you do? Susan: I like drawing blood. But really, it’s getting to work with the patients. One of the nice things about clinical research – especially with a long-term disease like Huntington’s - is that you really get to form relationships with the people involved in the studies. I can see this with our neurologist, who really KNOWS our patients. NV: Question 4. What advice would you give to someone who wanted to become a clinical research coordinator? An advocate for Huntington’s research? Susan: There aren’t that many technical skills involved in being a coordinator, because we get our training on the job. But you have to be flexible, work collaboratively with the other members of our team. In terms of advocacy – there is a great community already. Huntington’s Disease Society of America is great about educating families and patients about trials, new drugs and discovery. NV: Question 5. What’s your next step? Susan: I’m going to medical school in August. I definitely see myself doing research while I’m there. Not because I have to (since Yale requires it) but because I want to. I see myself pursuing research further. Thank you to Susan for giving us a few minutes by phone to learn more about her and her career. We look forward to following up with her soon to hear about how her passion for research exhibits itself in medical school. For more information about Huntington's Disease, please visit the HDlighthouse. This is part of the ongoing Profiling New Voices series. This is Ben, and he is a living example of progress made in the field of vision research. Little Ben suffers from a visual disorder called strabismus, and faced growing up “cross-eyed” in a world that would have appeared blurred. Now, thanks to years of research and development, a simple corrective surgery exists that will allow Ben to experience a normal childhood. Strabismus highlights advances in vision research because it is such a common condition, affecting approximately 4% of Americans. The disorder can be caused by a lack of coordination of the eye muscles, or from neurological damage in a brain area that controls eye movements. Surgical treatment involves shortening, lengthening, or changing the position of one or more of the eye muscles, and depending on the reason for the misalignment, strong eyeglasses may also improve the condition. Famous individuals with strabismus include Abraham Lincoln, Barbara Streisand, Forest Whittaker, and the existential philosopher, Sartre, who probably found the fact that his eyes were misaligned hopelessly meaningless. Research provides important breakthroughs often when they are least expected, and the story behind developing a treatment for strabismus is a classic example. Beginning in the late 1960’s, a San Francisco ophthalmologist named Alan Scott began exploring ways to align the eyes of strabismic patients. Dr. Scott experimented with a variety of chemical procedures in an effort to partially paralyze the necessary eye muscle in order realign the eyes. In 1973, Dr. Scott identified a particularly effective neurotoxic chemical called botulinum toxin type A (BTX-A), and by 1980, he was finding success using BTX-A to treat patients with strabismus. 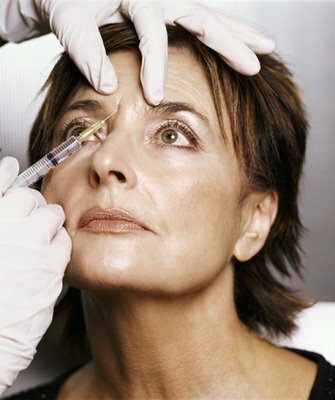 As it turns out, BTX-A, or BOTOX, is a temporary paralyzing agent, effective for only four to six months. 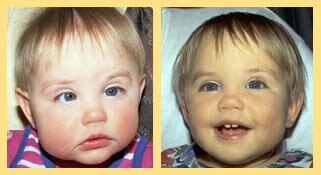 Requiring patients to return for treatment two or three times a year presented many clinical obstacles and over time doctors focused on refining surgical rather than chemical procedures to correct strabismus. The value of a research discovery may be unapparent at the time it is made, as with the case of BOTOX and strabismus, a scientist may not know what they're going to get. While Dr. Scott’s discovery of BOTOX was only one link in a chain of research discoveries that today allow doctors to easily correct misaligned eyes, nearly all of Hollywood is grateful for his contributions. Thanks to my grandfather, P.B., for leading by example. 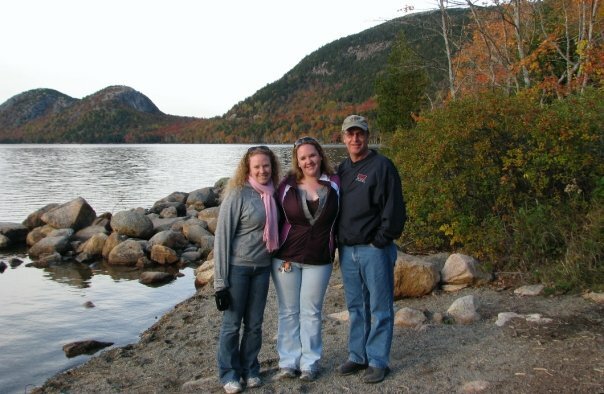 Thanks Dad for always taking us to visit the coolest places across the country! Dads have a profound effect on our lives, shaping who we are. In many cases, one of the greatest influences a dad can have is on his daughter’s or son’s choice of career. The connection between sons following in their father’s career footsteps is long established. One of my favorite examples is the father-son explorer duo of Jacques and Jean-Michel Cousteau. Although the link between a daughter’s career path and her father’s has not always been strong, a recent study from the University of Maryland shows that women are three times more likely to pursue the same career as their dad now compared to a century ago. My experience may not fit exactly into the parameters of this study, but I certainly know that my dad inspired me. As a biology teacher, my dad instilled in me a love of learning and science from a very early age. Some of my fondest childhood memories are of trips to the zoo and aquarium with my dad where he’d teach me about all of the different animals. Because of the encouragement and experiences that my dad gave me, I still carry the same passion for science today. Thanks, Dad. Yesterday, you got to see the first on one of our two new summer series, Profiling New Voices. Today, we're announcing the other new running series, Images from Around the Lab. Research today can be done in a lab, in a field, in a river, in an office, in a garage ... basically anywhere. However, most people are unfamiliar with what research looks like. 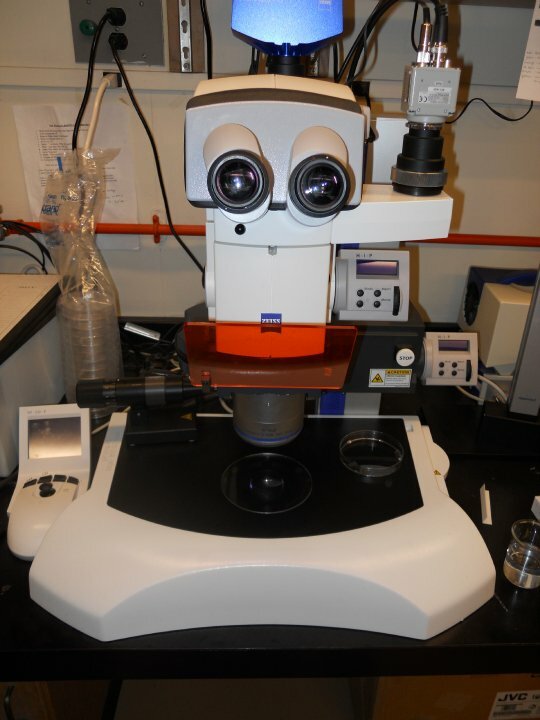 We know how incredibly cool science is and want to give the world a better taste of what it looks like through your eyes. Want to help? 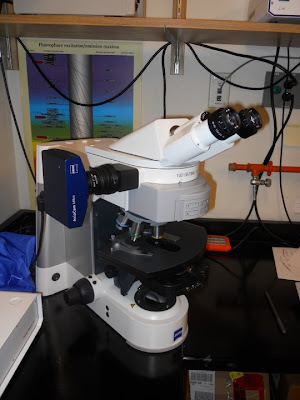 Send us pictures from around your lab or really anyplace where you do science. Each week we'll post pictures showing where research happens. 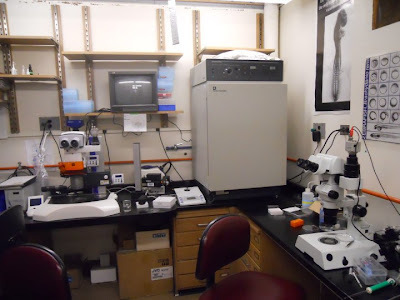 Alternatively, drop a link in the comments section to your lab's online photo albums. 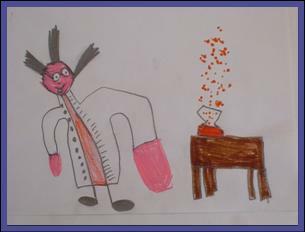 Images: Children's renditions of scientists at work. How do Americans use the health care system? What are Americans' opinions on the health care system (quality, access)? How will health care reform impact various industries, patient advocacy groups, and physician groups? I also write papers analyzing the poll data we accumulated asking these questions. 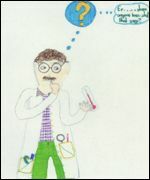 NV: Question 2: How does your background in science - and in research particularly - help you? Hillary: My background in biomedical science as well as my studies in health law have positioned me to ask intelligent, novel questions on these topics. I am also tasked with tracking American opinions on basic and clinical research. I frequently refer to Research!America data to flesh out, support or contradict our findings. My science background has helped me understand the polling process itself in addition to providing the mental training needed to probe these topics in ways that provide unique insights into areas that are fairly well parsed. The research process is much like delving into these topics- you have a hypothesis that you're trying to gather more data to support or disprove, depending on your approach to the scientific method! NV: What is the most exciting component of what you do? Hillary: Meeting with thought leaders to expand our approach to our areas of interest. No amount of research into the topics and brainstorming with colleagues can top spending half an hour with someone who has spent a significant part of their lives developing the policies in place today. It is amazing to meet people like Dr. Jay Sanders, the father of telemedicine, or Baroness Nicholson whose NGO, AMAR Foundation, works in Iraq to create community health systems in far-flung regions. These folks have spent enormous amounts of time and energy on the topics we are studying at UT and their insight is invaluable. To top it off, everyone I've had the chance to meet has been gracious and willing to share their knowledge and experience. NV: Question 4. What advice would you give to someone who wants to get involved in advocacy? Figure out what you know and what gets you fired up. Once you determine this you can shape your activities as an advocate, probably within an established group. Take advantage of what's gone before! There is no reason to re-create the wheel. Research!America has all the tools you need to get started as an advocate for research, if that's what moves you. For other areas of advocacy, there are similar leaders that you can touch base with and who will help you. Don't be shy! Starch your shirt and take your message to your local Congressional or Senate office. They will be happy to hear from you, especially if you follow R!A suggestions for formatting your meeting and imparting you message by telling a story. Follow up and establish those networks. Make yourself known to the staffers and you'll be welcome back! NV: Alright, last question: if you could change anything about the culture of science in the U.S. today, what would it be? 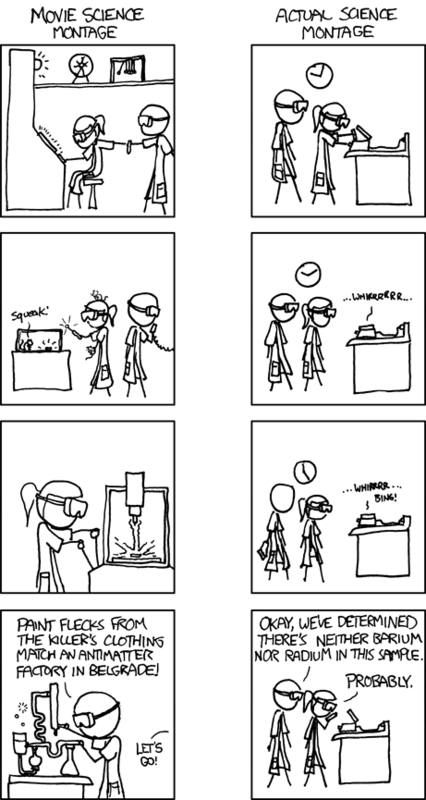 Hillary: I think we need to be training scientists to get out of the lab and into the community. There is a lot of research to do, true, but in the end you're doing it for the benefit of everyone, and if you just take a few minutes to get out and tell people about it, knowledge about science would spread far more quickly and accurately than if we leave it in the hands of the media. I doubt we can change the primary investigators who are set in their ways, but if we start with the next generation eventually we'll get there. In this I think we'd have to take a long-term approach rather than expect immediate results. Thank you to Hillary for giving us a few minutes to learn more about her and her career. Her background - including lab work and law - make her an excellent advocate for research and it's a pleasure to hear from her again on the New Voices for Research blog where she was a regular contributor in January and February 2009. This is part of our ongoing series Profiling New Voices for Research. 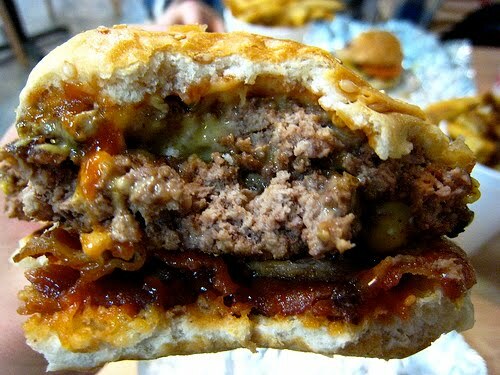 Attention readers with a Y-chromosome – this is the week to put down the bacon cheeseburger and pick up some carrots. This is the week to put down the remote control and pick up a tennis racket. This is the week to put out the cigarette and put in some time at the gym. This is the week to…well you get the point. 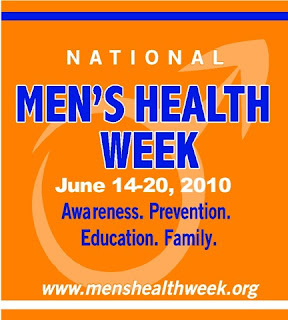 By official Congressional Proclamation (seriously) June 14th to 20th 2010 is National Men’s Health Week. The likelihood that a man will develop prostate cancer is 1 in 11. The death rate for prostate cancer has grown at almost twice the de ath rate of breast cancer in the last five years. African-American men in the United States have the highest incidence in the world of cancer of the prostate. Testicular cancer is one of the most common cancers in men aged 15-34, and when detected early, has an 87 percent survival rate. Men are seven times as likely as women to be arrested for drunk driving and three times as likely to be alcoholics. Today is World Blood Donor Day, and if you haven’t donated lately, I hope you take some time today to set up an appointment at a blood drive near you. One of the first things people think about or ask when talking about blood donation is "what is your/my blood type?" At the turn of the last century, an Austrian scientist named Karl Landsteiner noticed why some people had fatal reactions to blood transfusions. 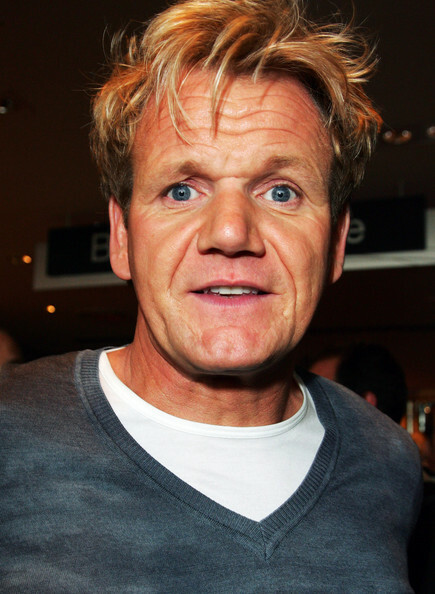 He realized that when you mixed the blood of two different people you sometimes get clumping or agglutination. He also discovered that these clumps not only were dangerous, but that the reaction that caused them was immunological. He determined that there were different "blood groups." These became known as the blood types of today. In the first years of life people develop antibodies to the antigens found on blood different from their own. 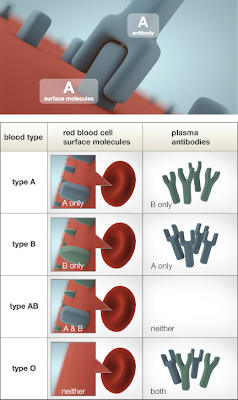 For example, someone with type B (like me) develops antibodies against the A antigen found on the blood cells of someone with type A. 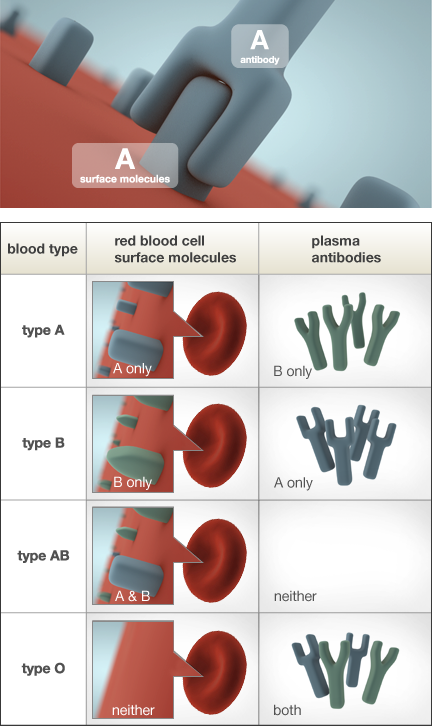 Type O blood has no antigens and so develops antibodies against both A and B, and someone with type AB develops no antibodies because they have A and B antigens. The type(s) of antigens you have on your blood cells is determined genetically. You inherit it from your parents. However, since both your parents contribute, there is no guarantee that you will end up with either of your parent’s blood types. When someone receives blood that isn’t compatible with their own, their blood’s antibodies see the new blood as foreign. 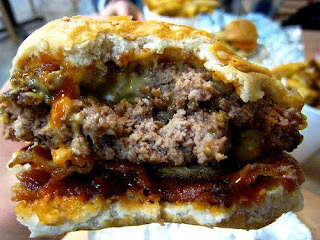 This triggers an immune reaction that starts fighting off the "invaders." This causes the new blood cells to be forced into clumps that start to die. These dying clumps of cells then release toxins into the blood stream that can cause severe problems up to and including death. So now, thanks to Landsteiner, we know which people can receive which types of blood (see chart below). Therefore blood transfusions are very successful, which is good for the up to 5 million Americans every year who need life-saving blood from someone else. If you, like me, are a part of the 38% of the American public eligible to donate blood, I hope you do. I know every time I do I almost pass out. But I keep going back. Why? Because each time you donate blood you can save up to three lives. Just imagine, if you donated every two months (as often as allowed), you could save up to 18 lives a year. If you did that for 30 years, that’s over 500 lives you could save. You could be quite the superhero. All from one hour and one pint of your blood a few times a year. Can you help? Sign up now! A few summers ago I went to the beach with my friends and after we went swimming, I fell asleep on my stomach for an hour and a half. When I woke up, I was noticeably red and realized I had forgotten to reapply sunscreen on my legs. I used an after-sun aloe gel a few times a day, but four days later—right when I was expecting my burn to start to dissipate—I woke up to find the backs of my legs covered in blisters. I had gotten a second degree burn from an hour and a half in the sun unprotected. 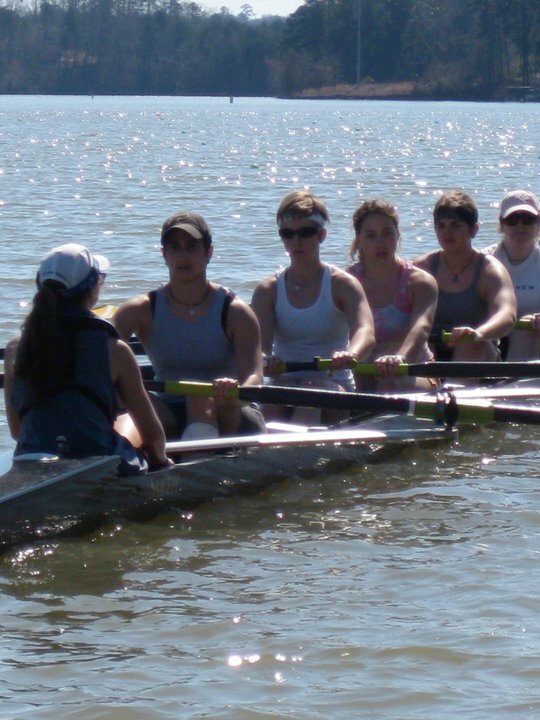 This experience is particularly distressing for me, knowing that according to the Skin Cancer Foundation, “one blistering sunburn in childhood or adolescence, or five sunburns total over the course of one’s life, more than doubles a person's chances of developing melanoma later in life.” For the fair-skinned of us, it is not uncommon to meet this criterion. It may also be why skin cancer is the most common type of cancer in the U.S. today. June is ‘Cancer from the Sun’ month. With the official start of summer just around the corner, there isn’t a better time to talk about how to protect yourself from harmful ultraviolet (UV) rays. The most commonly used protection is sunscreen. But many who wear sunscreen wonder what an SPF number really means. Does it even matter? It does. Research has shown that higher SPF (Sun Protection Factor) is different. SPF 15 sunscreens filter out 93% of UVB rays, while SPF 30 protects against 97% and SPF 50 against 98%. Though these changes might seem slight, it can mean the difference between burning or not with prolonged exposure. In addition to protection against the UVB rays that mutate DNA and burn skin, make sure your sunscreen protects against the UVA rays that create free radicals and age skin. Not sure which products are best at protecting against the sun’s UV rays? 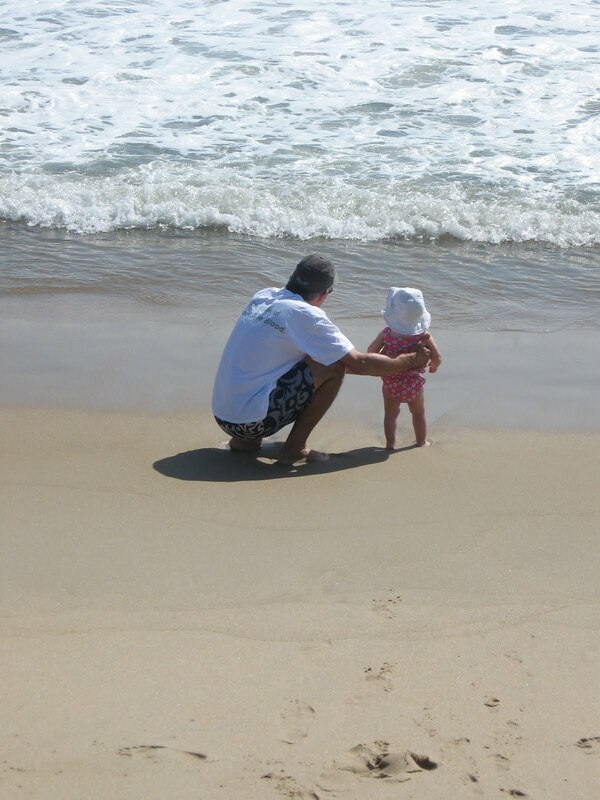 Here’s the Skin Cancer Foundation’s list of products that get its Seal of Protection. And don’t think getting a tan inside is any better. It’s actually much worse. Even just one forgetful day in the sun can be irrevocably damaging to your skin, and 1 in 5 Americans will get skin cancer in their lifetime. Let’s to try to change that troubling statistic by grabbing the sunscreen, and heading on out to enjoy the summer. In 1861, a patient known only by Tan, as that was the single word he was able to clearly speak, underwent an autopsy. The French physician performing the procedure, Paul Broca, identified damage to a specific region on the left side of Tan’s brain. Broca concluded that the affected area was where the brain cells responsible for producing speech were located. It turns out that Broca was correct, and this region of the brain that controls speech production is now called Broca’s area. Patients that speak in a broken, choppy, or very limited capacity often do so because of damage to Broca’s area. These patients are said to have Broca’s aphasia. 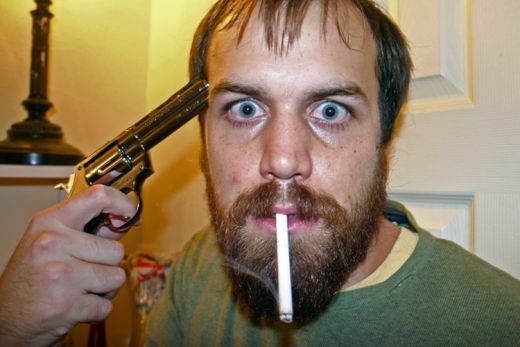 An example of this debilitating condition can be seen here. Aphasia is essentially a term used to describe any language impairment. Aphasias can be expressive in nature, like in the case of Broca's, but sensory aphasias are also commonly encountered. A sensory aphasia causes individuals to no longer understand the meaning of language and is often due to neurological damage in a specific brain region known as Wernicke’s area. A contemporary of Broca, a German physician named Carl Wernicke (pronounced Vern-nick-key), was also interested in how brain disease affects speech and language. His research identified the specific area of the brain responsible for processing the meaning of language, an area now known as Wernicke’s area. While patients with Wernicke’s aphasia do not lose the ability to speak, they do lose the ability to understand the meaning of language. A Wernicke's aphasiac will babble unintelligibly, and speak using a jumble of meaningless phrases, described as a “word salad”. An example of Wernicke's aphasia can be seen here. June is Aphasia Awareness Month - you can now consider yourself aware but for more information, look to the National Aphasia Association. *Noam Chomsky's famous example of a word salad. It demonstrates that randomly chosen words that while arranged in a phrase that appears to give them meaning, actually carry no significance.